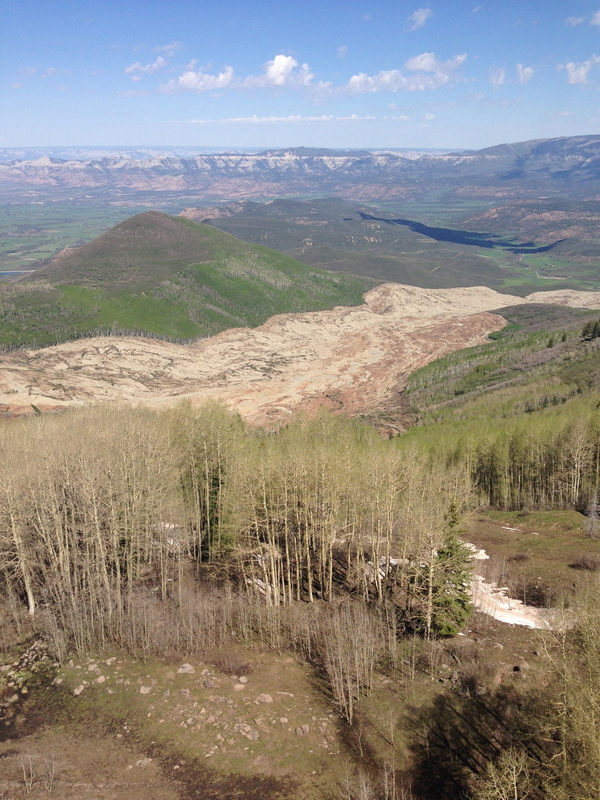 On Friday, June 6, 2014, official oversight and command of the West Salt Creek landslide transitioned from Unified Command with Mesa County Sheriff’s Office and the US Forest Service to Operational Command by Mesa County Public Works. 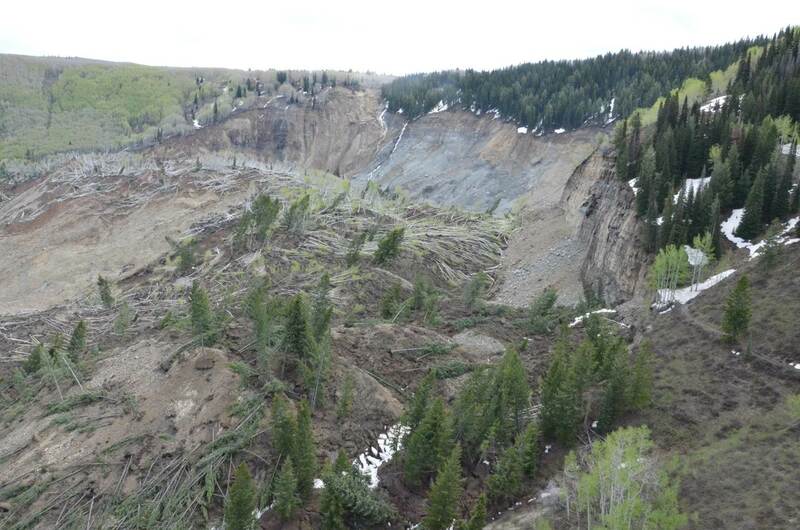 Peter Baier, Mesa County’s Deputy Administrator for Operations, has been appointed to oversee the ongoing activity and monitoring at the West Salt Creek landslide area. With the change in operational command, officials are transitioning point of communication. From May 26 through June 6, 2014, the Mesa County Joint Information Center and Heather Benjamin, Mesa County Sheriff’s Office lead public information officer, coordinated the communications during the emergency response. Effective June 10, first point of communication will be Mesa County Administration, Victoria Patsantaras, lead public information officer. Media updates will be provided weekly, or as may be required by conditions. Please see Mesa County’s news blog http://blog.mesacounty.us/ and Mesa County government social media pages: www.facebook.com/mesacounty, https://twitter.com/mesacountynews. 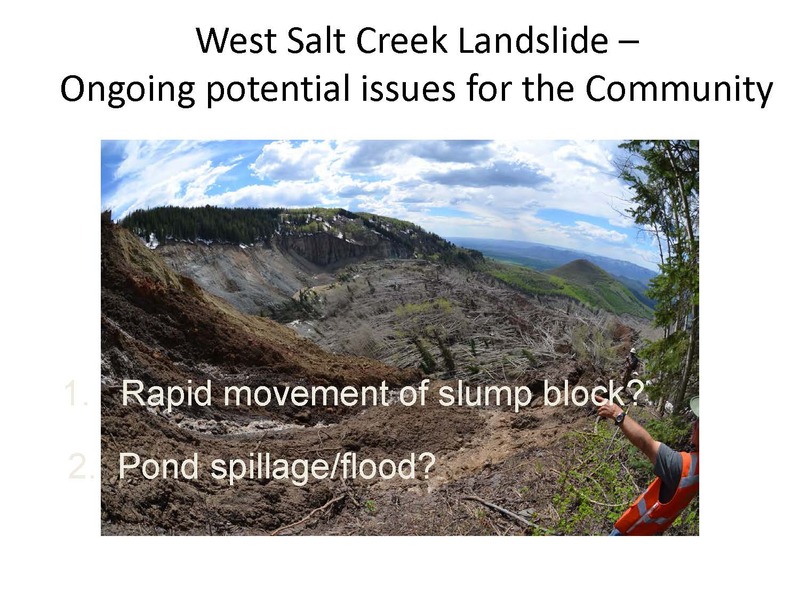 Additionally, information links relating to the landslide may be found at Mesa County government’s web page, http://www.mesacounty.us/West-Salt-Creek-Landslide/. 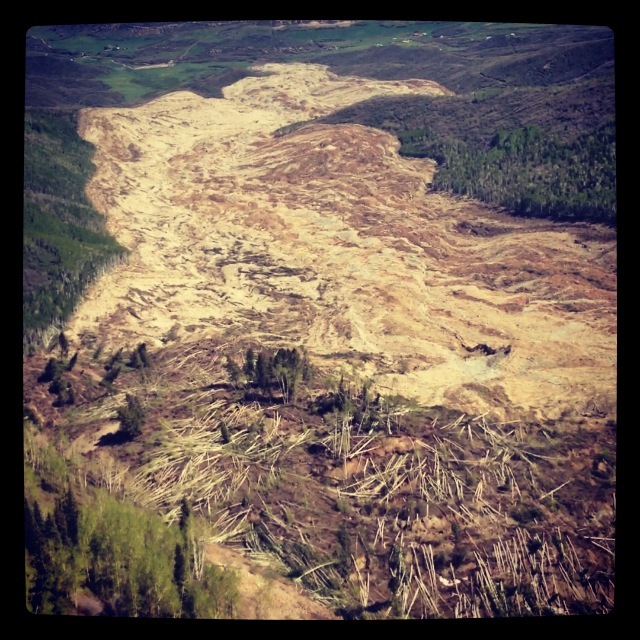 Mesa County thanks the many organizations and individuals who provided response and support to the West Salt Creek Landslide. 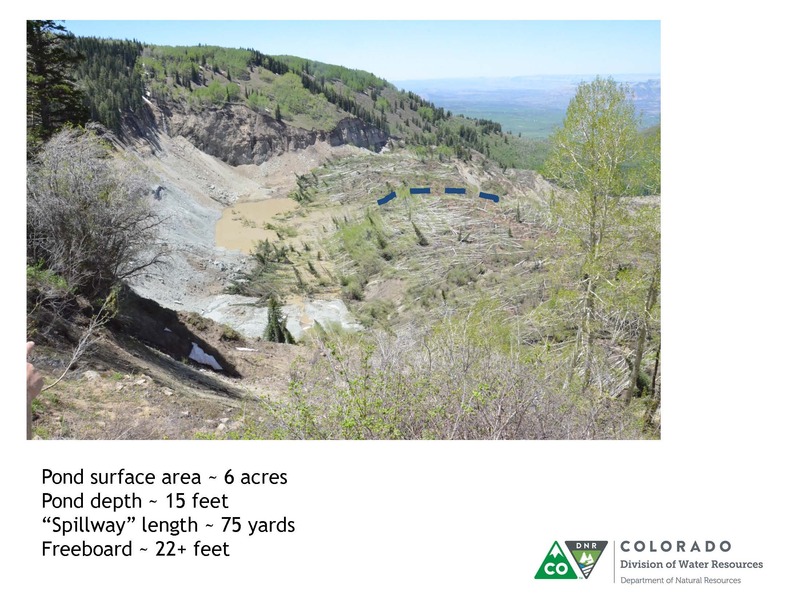 For future media updates on the Landslide, please refer to Mesa County’s news blog http://blog.mesacounty.us/ and Mesa County government social media pages: www.facebook.com/mesacounty, https://twitter.com/mesacountynews. 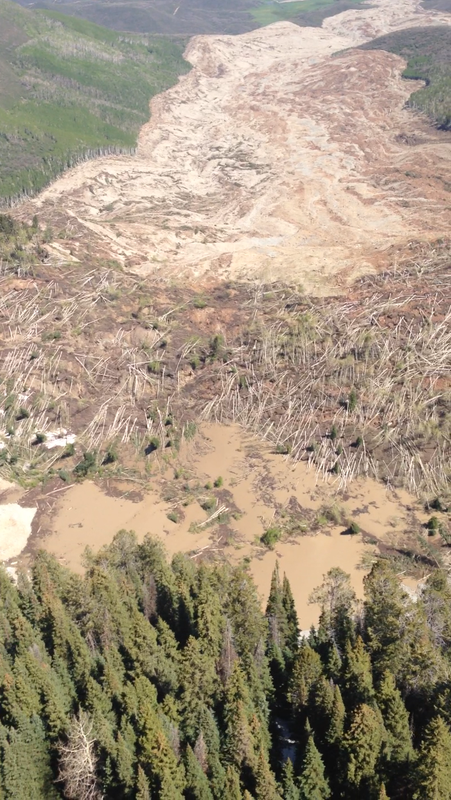 The message from Uni fied Incident Command today was a resounding, loud and clear warning to the public…stay away from the slide as it remains very steep and extremely unstable. Especially the area geologists call the escarpment of the slide, or what appears to be the very top, steep immediate break away area of the top of the mountain. 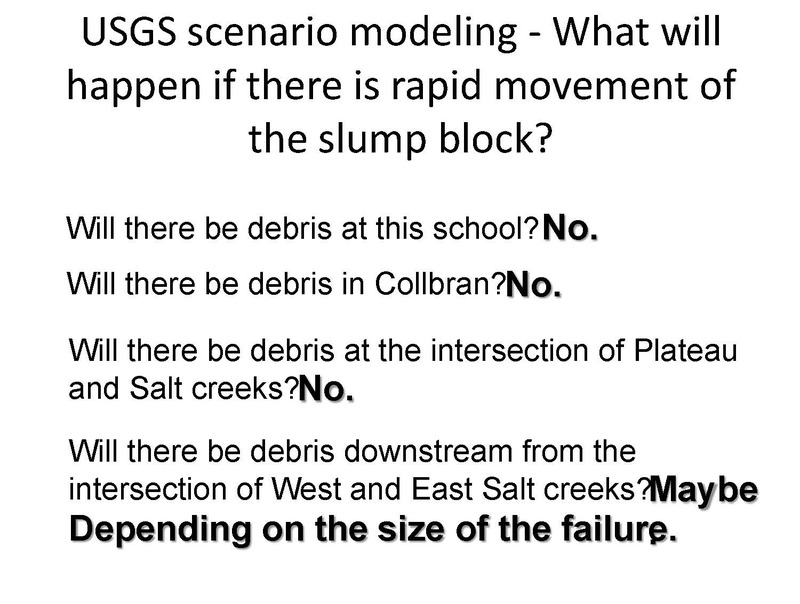 The primary focus remains on life safety, when it comes to interaction with #MCMudslide. The LiDAR flights and work continued today (posted details about these flights on June 1) and are scheduled for possible final flights tomorrow, June 3. 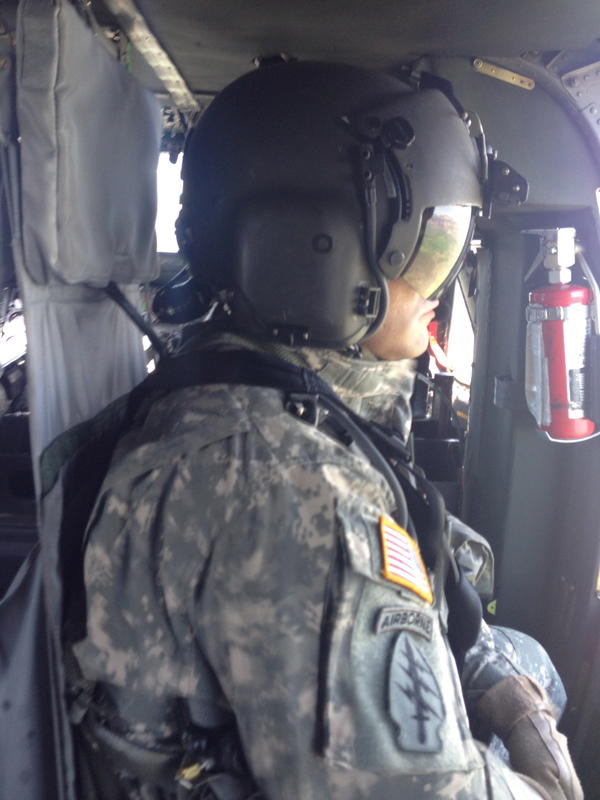 The U.S. Army Corps of Engineers, Sacramento, California office sent three personnel to Grand Junction, today. 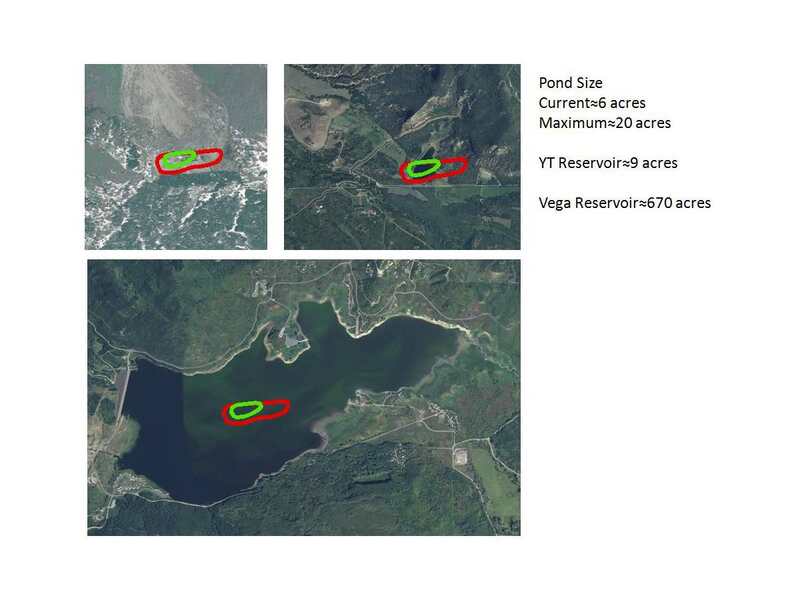 Those three Corps personnel will do an on-site assessment tomorrow of the slide, with a focus of their mission being on the water build-up (pond) that continues below the escarpment and behind the block (the massive middle area). To the left is the Corps’ news release about their mission in Mesa County, they released directly. 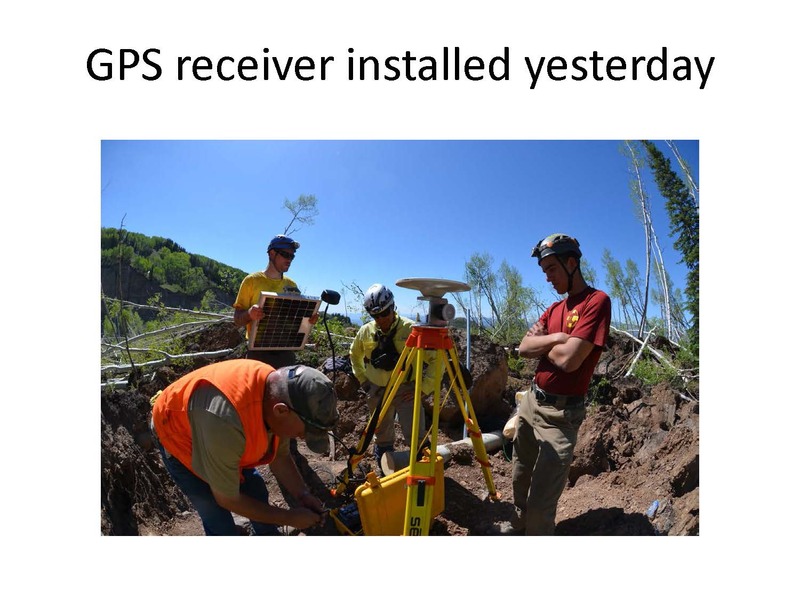 Today, the activity on the #MCMudslide was the final phase of placing monitoring devices in the field and on strategic places on the slide. Once all the devices are complete and in place, the Verizon booster is operational, then analyzing the data will begin. 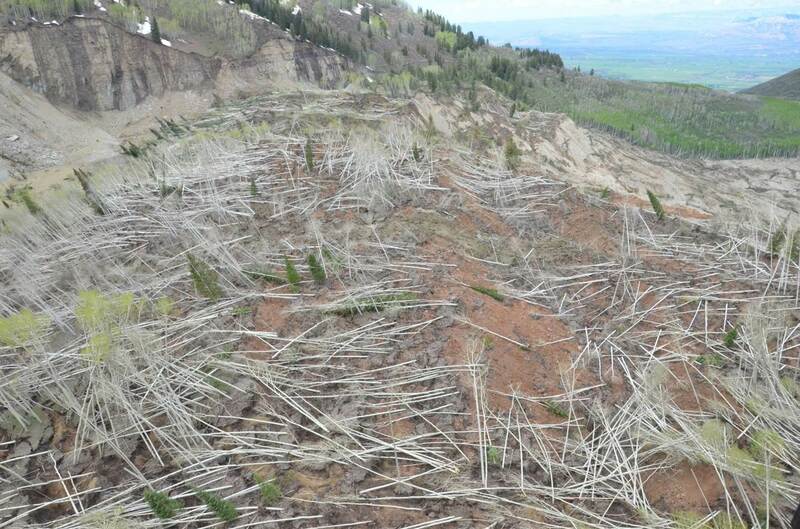 Additional photos taken of the slide area on Saturday, May 31, 2014, by Sheriff Stan Hilkey are here. Further photos from the Sheriff and others (recently taken) will be posted on the Mesa County Sheriff’s Office Facebook page. 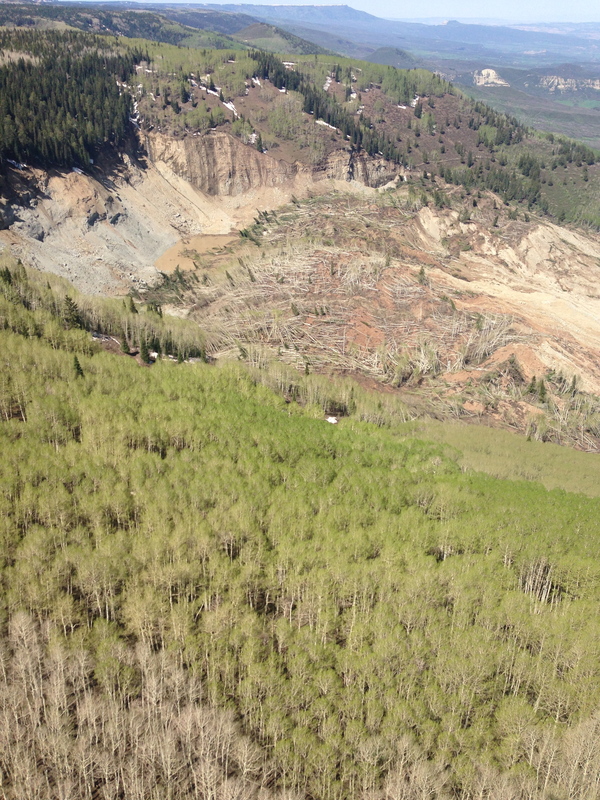 Sheriff Hilkey flew over the #MCMudslide with Colo. Governor Hickenlooper on Saturday, May 31, 2014. These are the images he captured. If you are using these pictures for any reason, please credit: Mesa County Sheriff’s Office. Two days of flights over a large area from approximately Collbran to Vega Reservoir will start early this afternoon with LiDAR equipment on board. The flight, which is estimated to be 87 passes across a greater area that will include the slide. These flights are done by a remote sensor airplane–a private contractor. The LiDAR flights will be to remap the topography of the slide, greater area around the slide and conditions of the (new) landscape. LiDAR has not been used previously on this slide area–this will be the first use of it. 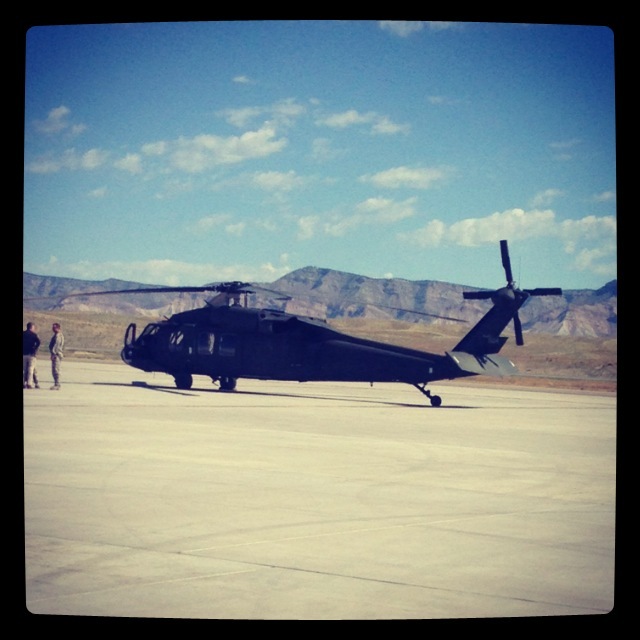 The flights will be done at a high elevation, but the many flights back and forth should not be cause for concern, by residents and recreationists in the area of (north) Grand Mesa. Colorado Governor John Hickenlooper flew over the mudslide area this morning, accompanied by Sheriff Stan Hilkey, Mesa County Commissioner John Justman, Congressman Scott Tipton and Collbran Mayor Pro-Tem Jolynn Dorman. Below are photos taken yesterday from the slide area. We have also included reference notes, for orientation and explanation purposes. Press/media update: PIO functions will be cut back over the weekend. Media, please email direct questions to: mesacountyjic@gmail.com. 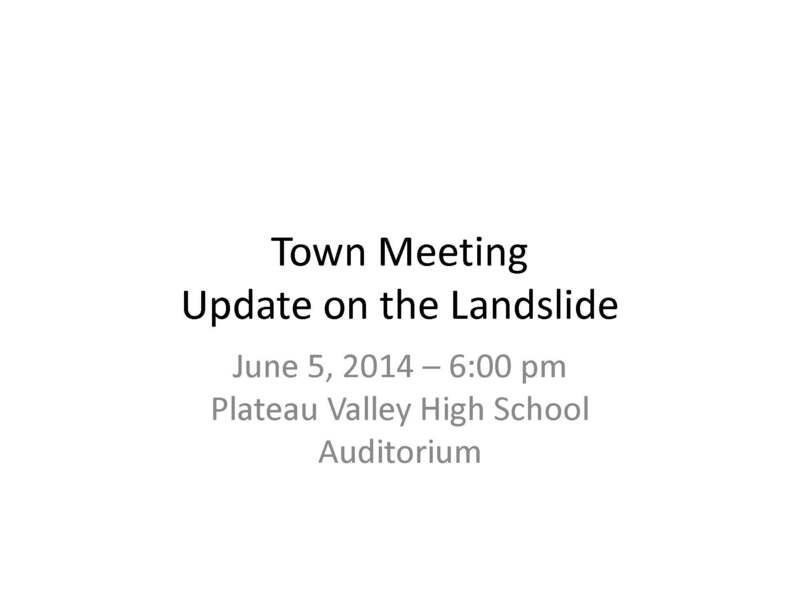 Unless there is a significant update of information, the daily update posts will resume on Monday, June 2nd. Thank you. you are in many cases trespassing and placing yourself, and those with you, in danger. Again, please. Don’t go to the slide area and place yourself in danger. Operation command update for today: Area becoming drier. Three teams were on the ground (multiple people within each deployed team). Several air transports for 1) Verizon/contractor techs to install microwave wireless boosters, 2) USGS install of cameras (which will be active after the microwave is fully up) and to evaluate upper face of landslide and have real-time visual access to the slide area, 3) Several UAV flights to photograph the upper portion of the slide/ridge for the purpose of mapping the upper portion of the slide area. 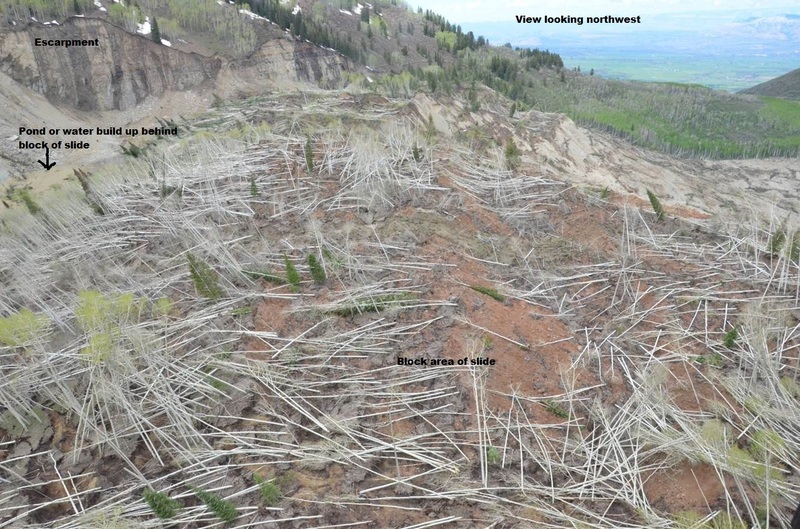 The bottom portion of the slide was photographed for mapping on Monday, May 26. Operation & Monitoring plan for tomorrow: Minor repair to weather station. Install water gauge at bottom of slide. Air transport will allow Verizon to continue microwave install. Air recon flights and ground recon on snow pack and ATV access into area. Media Plan/Expectations: Our goal remains to provide a daily update/summary on operations, etc. for this incident. However, the PIO functions will be cut back over the weekend. Please email direct questions. Thank you.